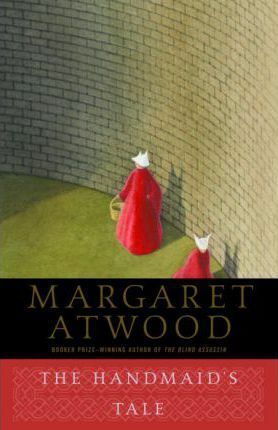 The Handmaid’s Tale is a dystopian novel by Canadian author Margaret Atwood. It is set in a near-future New England, in a totalitarian state resembling a theonomy, which has overthrown the United States government. The novel focuses on the journey of the handmaid Offred. Her name derives from the possessive form “of Fred”; handmaids are forbidden to use their birth names and must echo the male, or master, whom they serve. Offred may leave the home of the Commander and his wife once a day to walk to food markets whose signs are now pictures instead of words because women are no longer allowed to read. She must lie on her back once a month and pray that the Commander makes her pregnant, because in an age of declining births, Offred and the other Handmaids are valued only if their ovaries are viable. Offred can remember the days before, when she lived and made love with her husband Luke; when she played with and protected her daughter; when she had a job, money of her own, and access to knowledge. But all of that is gone now….All readers are welcome. Copies of the book are available at the library. Registration is appreciated. This entry was posted in Library Announcements, McMahon Wintonbury News on April 12, 2019 .